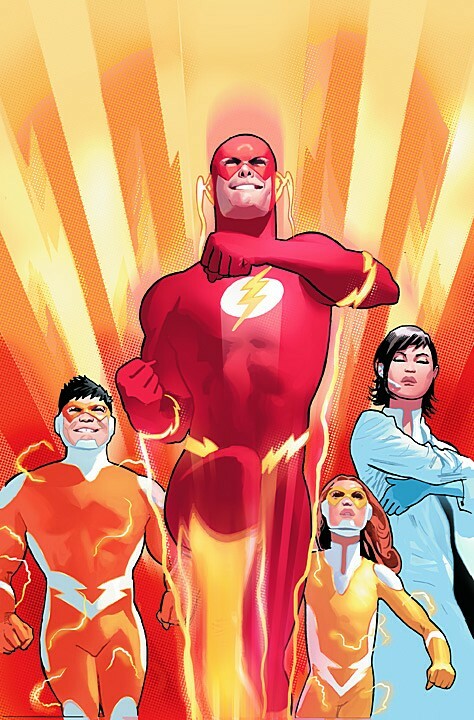 Wally West returns to active duty as the Flash — with the addition of his two children — in this amazing hardover collecting THE FLASH #231-237, guest-starring the Justice League! What’s his dark, dark family secret — the one that’s helping him keep the peace in Keystone? This volume also includes "The Fast Life, " by Mark Waid, John Rogers and Doug Braithwaite — the compelling tale of the West family's life on a Flash-friendly alien world.